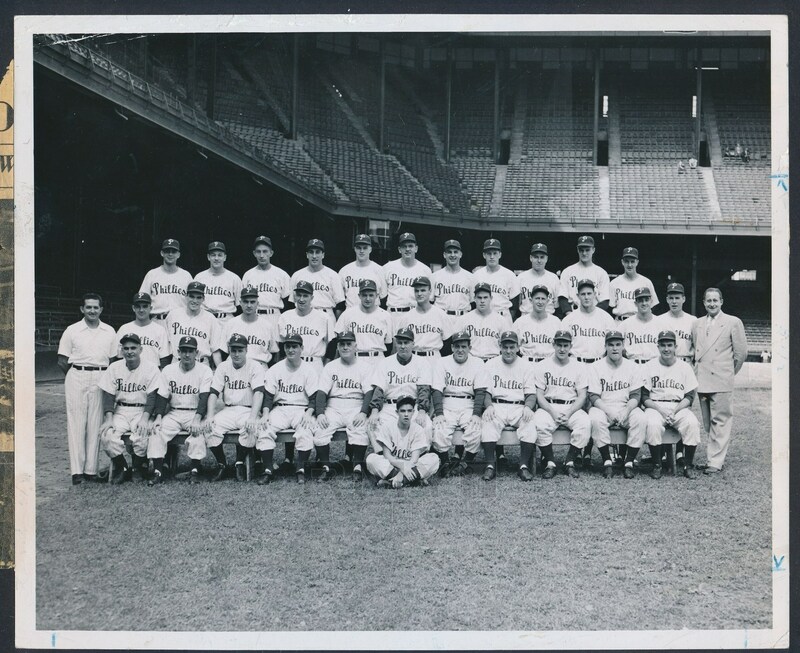 Lot # 64: 1950 Philadelphia Phillies Team Photo, "Wiz Kids Take the NL Pennant"
The 1950 Philadelphia Phillies "Wiz Kids" are one of the most popular teams of all time. They rode good pitching and small ball all the way to the World Series and are widely collected to this day. 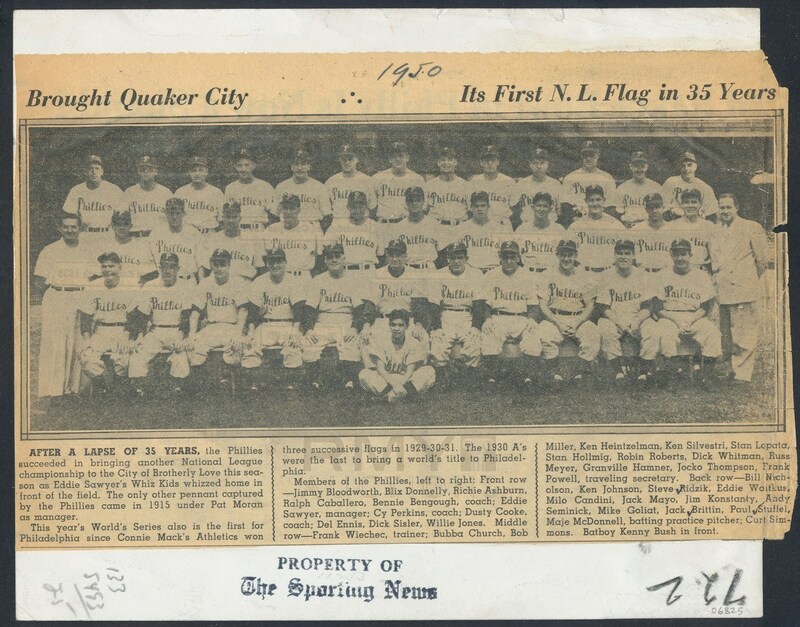 This is one of the only team photos of this iconic assemblage we have ever seen, issued by the club and with a huge newspaper article glued to the back. The image is crystal clear with some creasing and a small chip on the upper left corner.